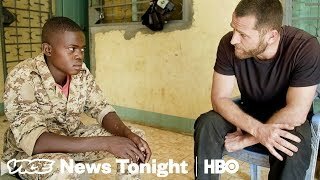 This is the June 5, 2018 FULL EPISODE of VICE News Tonight on HBO. 2:27 California has 53 different House races, many with wide-open primaries that could help decide control of Congress. And in the governor’s race alone there are 27 candidates to choose from. 3:13 The campaign to recall and replace Judge Aaron Persky is also on the ballot. He’s the man who presided over the case of Brock Turner—the Stanford swimmer who sexually assaulted an unconscious woman.